We Buy/Sell Gaylord Boxes LA. We have boxes of all shapes and sizes available for sale in the state of Louisiana. Upon completion of this form, we will have your request sourced immediately, and contact you via email or phone call. We offer a free gaylord box recycling service for all residents of the Bayou State. We will coordinate a pick-up window, and send one of our trucks to pick up all of your unwanted gaylord boxes free of charge. We would like to purchase your lightly used gaylord boxes. The only condition that we hold is that the boxes must be either grade A or B+, and we will compensate you at a competitive per-box rate. 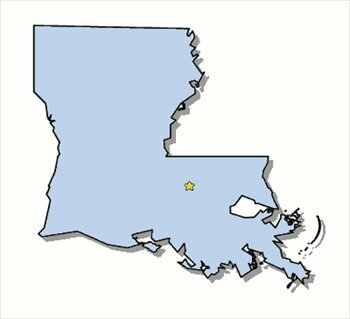 We are proud to announce that we are now servicing customers in the state of Louisiana. At this point, we are actively seeking new partnerships throughout the state. We currently have inventory in the bordering states of Arkansas, Mississippi and Texas. So, we urge you to fill out a box buyer form. By completing the form, you will grant us the ability to effectively find the boxes in accordance with your current needs. On the other hand, if you’re looking to sell your gaylord boxes, we will happily purchase them from you at a mutually beneficial rate. Lastly, if you have used gaylord boxes that you would like to be removed, consider using our complimentary gaylord box removal and recycling service. We will organize a pick-up window, and send one of our trucks to pick up your unwanted inventory free of charge. We look forward to doing business with you!